Ford's just released two press releases detailing an OMFG $8.7 billion net loss for the second quarter of 2008 (which includes a pre-tax special charge of $8 billion, $5.3 billion of which is for Ford North America). But more importantly to the enthusiast is news they'll be bringing to North America six European small vehicles built off the global B-car and C-car platforms and converting three large truck and SUV plants to building small cars. It's part of something the company's calling "One Ford" which we think has something to do with making every product in every marketplace the same and it looks like the European products are winning out. Dear god, there is yet hope for this company. Full press releases after the jump. Give us a few minutes while we digest this. Also, our Cheerios. UPDATE: We've dropped the list of vehicles Ford's claiming will be part of the new lineup right after the jump for your convenience — it includes a Mercury small car for 2010, a European small vehicle that will be a "whitespace" entry in North America in 2010 and oh god yes, the European Ford Focus! UPDATE #2: And the Mondeo! Dear god, it's like manna from heaven! Hmm, doesn't look like that's going to happen. UPDATE #3: We've put together a full Jalopnik cheat sheet on these two huge announcements from Ford. * Net loss of $8.7 billion, or $3.88 a share, for the second quarter of 2008. * Pre-tax special charges of $8 billion, including impairments of $5.3 billion for Ford North America long-lived assets and $2.1 billion for Ford Motor Credit Company's operating lease portfolio. * Cost reductions of $1 billion, including over $600 million in North America (at constant volume, mix and exchange; excluding special items). The company remains on track to reach $5 billion in annual cost reductions in North America by the end of 2008 compared with 2005. * Strong profitability from Ford Europe and Ford South America. * Ford also today announced a significant acceleration of its product and production transformation plan with the addition of several new fuel-efficient small vehicles in North America and a realignment of its North American manufacturing. DEARBORN, Mich., July 24, 2008 - Ford Motor Company [NYSE: F] today reported a second quarter net loss of $8.7 billion, or $3.88 per share, including pre-tax special items totaling $8 billion. This compares with a net profit of $750 million, or 31 cents per share, in the second quarter of 2007. Ford also today announced a significant acceleration of its transformation plan with the addition of several new fuel-efficient small vehicles in North America and a realignment of its North American manufacturing (see related release http://media.ford.com/article_display.cfm?article_id=28660). "We continue to take decisive action in response to the rapidly changing business environment and remain absolutely committed to the four elements of our business transformation plan," said Ford President and CEO Alan Mulally. "Our European and South American operations are robust and profitable. We have momentum in Asia. And we are uniquely positioned to leverage our global assets and the global strength of the Ford brand to quickly bring more small, fuel-efficient vehicles to North America." The 2008 operating data discussed below exclude Jaguar Land Rover, which was sold on June 2, 2008. Jaguar Land Rover and Aston Martin data are, however, included in the 2007 data, except where otherwise noted. See tables following "Safe Harbor/Risk Factors" for the amounts attributable to Jaguar Land Rover and any necessary reconciliations to U.S. GAAP. $1 billion, down from a year-ago profit of $483 million. On an after-tax basis, Ford's second quarter operating loss from continuing operations, excluding special items, was $1.4 billion, or 62 cents per share, compared with a net profit of $258 million, or 13 cents per share, a year ago. Ford's second quarter revenue, excluding special items, was $38.6 billion, down from $44.2 billion a year ago. Adjusted to exclude Jaguar Land Rover and Aston Martin from 2007 results, revenue would have been down slightly, with lower volume, adverse product mix and lower net pricing, partly offset by favorable exchange. Special items reduced pre-tax results by $8 billion in the second quarter, or $3.26 a share, primarily reflecting charges associated with asset impairments of $5.3 billion for Ford North America and $2.1 billion for Ford Credit. Because of deteriorating economic conditions, demand has declined substantially, particularly in North America. At the same time, fuel and commodity prices have increased substantially. As a result, there has been a significant shift away from large pickup trucks and traditional SUVs in North America. This prompted a review of our long-lived North American assets and Ford Credit operating lease portfolio, which led to the pre-tax non-cash impairment charges. Automotive gross cash, which includes cash and cash equivalents, net marketable securities, and loaned securities, was $26.6 billion at June 30, 2008, a decrease of $2.1 billion from the end of the first quarter. The decrease primarily reflects working capital increases, upfront subvention payments to Ford Credit, and Automotive operating losses, offset partly by the proceeds of the Jaguar Land Rover sale. The following discussion of second quarter highlights and results are on a pre-tax basis and exclude special items. See tables following "Safe Harbor/Risk Factors" for the nature and amount of these special items and any necessary reconciliations to U.S. GAAP. * Posted profits of $582 million in Ford Europe and $388 million in Ford South America. * Launched the new Ford Kuga in Europe, a compact crossover vehicle with the best fuel economy of any AWD vehicle in the segment. * Completed the sale of Jaguar Land Rover to Tata Motors. * Improved initial quality of Ford brand vehicles in the U.S. at a rate faster than the industry average, according to J.D. Power and Associates. Ford was the only full-line automaker to show continuous quality improvement since 2004. * Lincoln and Mercury finished fifth and sixth, respectively, in the latest J.D. Power survey of customer satisfaction with dealership service. * Achieved $1 billion in cost savings, including over $600 million in Ford North America (at constant volume, mix and exchange; excluding special items). The company remains on track to achieve $5 billion in annual cost reductions in North America by the end of 2008 compared with 2005. * Launched the 2009 Ford Flex, our all-new seven passenger crossover vehicle with fuel economy that is equal-to-or-better-than its crossover competitors, and Lincoln MKS, our new luxury sedan in North America. * Confirmed the next-generation European Ford Fiesta and Ford Focus will begin North American production in 2010 as Ford North America adds more small cars, crossovers and fuel-efficient powertrains. DEARBORN, Mich., July 24, 2008 - Ford Motor Company [NYSE: F] today announced a significant acceleration of its transformation plan with the addition of several new fuel-efficient small vehicles in North America and a realignment of its North American manufacturing. The actions represent a considerable shift in Ford's North American product plans and investments toward smaller vehicles and fuel-efficient powertrains in both the near- and mid-term in line with rapid changes in customer buying preferences. In addition to bringing six small vehicles to North America from the company's acclaimed European lineup, Ford is accelerating the introduction of fuel-efficient EcoBoost and all-new four-cylinder engines, boosting hybrid production and converting three existing truck and SUV plants for small car production, beginning this December. "We continue to take fast and decisive action implementing our plan and responding to the rapidly changing business environment," said Ford President and CEO Alan Mulally. "Ford is moving aggressively using our global product strengths to introduce additional smaller vehicles in North America and to provide outstanding fuel economy with every new product." "The progress we have made in working together to create a 'One Ford' global enterprise during the past two years gives us a unique competitive advantage in today's environment," Mulally said. "We are in a stronger position than ever to leverage Ford's global assets to address the North American business environment. We also are building on the past few years of progress in continuously improving our quality, reducing our cost structure and introducing strong new products." Ford will convert three existing North American truck and SUV plants for small car production, with the first conversion beginning this December. The moves are in addition to Ford's announcements in May and June that it is reducing its North American production plans for large trucks and SUVs for the remainder of 2008, as well as increasing production of smaller cars and crossovers. "We are transforming Ford's North American manufacturing operations into a lean, flexible system that is fully competitive with the best in the business," said Mark Fields, Ford president of The Americas. "We remain committed to matching our capacity with real consumer demand, and we are equipping nearly all of our assembly plants with flexible body shops, ensuring we can respond quickly to changing consumer tastes. "In addition, we are adding four-cylinder engine capacity to meet the growing consumer demand, while expanding production of our new EcoBoost engines, six-speed transmissions and other fuel-saving technologies," Fields said. * Michigan Truck Plant in Wayne, Mich., which currently builds the Ford Expedition and Lincoln Navigator full-size SUVs, will be converted beginning this December to production of small cars derived from Ford's global C-car platform in 2010. * Production of the Ford Expedition and Lincoln Navigator will be moved to the Kentucky Truck Plant in Louisville, Ky., early next year. * Cuautitlan Assembly Plant in Mexico, which currently produces F-Series pickups, will be converted to begin production of the new Fiesta small car for North America in early 2010. * Louisville (Ky.) Assembly Plant, which builds the Ford Explorer mid-size SUV, will be converted to produce small vehicles from Ford's global C-car platform beginning in 2011. * Twin Cities (Minn.) Assembly Plant - which was scheduled to close in 2009 - will continue production of the Ford Ranger through 2011 to meet consumer demand for the compact pickup. * As previously announced, Kansas City Assembly Plant this year will add a third crew to its small utility line for the Ford Escape, Escape Hybrid and Mercury Mariner and Mariner Hybrid. In tandem with the realignments, Ford will continue to offer targeted hourly buyouts at its U.S. plants and facilities, working with the UAW to secure competitive employment levels. Ford also said it remains on track to reduce salaried-related costs by 15 percent in North America by Aug. 1. Ford North America still expects to reduce annual operating costs by $5 billion by the end of 2008 - at constant volume, mix and exchange, and excluding special items - compared with 2005. In addition, the company said it plans to continue to reduce structural costs beyond 2008. The company also confirmed Ford, Lincoln and Mercury will remain in its North American brand portfolio. 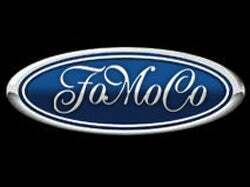 Ford said it will work with its dealers to broaden and accelerate its dealer consolidations, which will result in a dealer network that reflects the changing industry size and model mix. Ford is adding several new North American products in the near- and mid-term, and shifting from a primary emphasis on large trucks and SUVs to smaller and more fuel-efficient vehicles. By the end of 2010, two-thirds of spending will be on cars and crossovers - up from one-half today. "We are accelerating the development of the new products customers want and value," Mulally said. "We sell some of the best vehicles in the world in our profitable European and Asian operations, and we will bring many of them to North America on top of our already aggressive product plans." The new products include six European small vehicles to be introduced in North America by the end of 2012. Ford's acclaimed European products are set apart by their world-class driving dynamics, exciting design and outstanding quality. "While we have no intention of giving up our longtime truck leadership, we are creating a new Ford in North America on a foundation of small, fuel-efficient cars and crossovers that will set new standards for quality, fuel economy, product features and refinement," Fields said. With every new product, Ford expects to be the best or among the best for fuel economy. This is aided by one of the most extensive powertrain upgrades ever for Ford. By the end of 2010, nearly all of Ford's North American engines will be upgraded or replaced. In addition, within two years, nearly all of Ford's North American lineup will offer fuel-saving six-speed automatic transmissions. Coming in 2009 are the first applications of Ford's new EcoBoost engines. EcoBoost uses gasoline turbocharged direct-injection technology for up to 20 percent better fuel economy, up to 15 percent fewer CO2 emissions and superior driving performance versus larger-displacement engines. EcoBoost V-6 engines will be introduced on several vehicles next year, beginning with the Lincoln MKS and Ford Taurus sedans, and Ford Flex crossover. Four-cylinder EcoBoost engines will debut in 2010 in both North America and Europe. Ford will offer EcoBoost on more than 80 percent of its North American lineup by the end of 2012. Ford also plans to double capacity for North American four-cylinder engines to more than 1 million units by 2011, to meet the consumer trend toward downsized engines for fuel economy. The smaller engines will deliver significant fuel savings. In addition, Ford plans to double its hybrid volume and offerings next year - and is looking to expand further going forward. Production of the all-new 2010 Ford Fusion Hybrid and Mercury Milan Hybrid begins in December - with fuel economy expected to top the Toyota Camry hybrid. With these new models, the Ford Escape Hybrid - now in its fifth year of production - and the Mercury Mariner Hybrid, Ford will offer four hybrid vehicles. That will make Ford the largest domestic producer of full hybrid vehicles in North America, second only to Toyota in sales volume. Ford also is introducing six-speeds with PowerShift that offers the fuel economy of a manual transmission and convenience of an automatic; start-stop engines that shut off when the vehicle stops; electric power steering; direct injection, and Twin Independent Variable Cam Timing engines. These technologies will be progressively introduced within the North American lineup by 2012. Driving Ford's product transformation is the company's "One Ford" global product development vision, which will deliver more vehicles worldwide from fewer core platforms, further reduce costs and allow for the increased use of common parts and systems. In the next five years, Ford will build more than 1 million vehicles a year worldwide off its global B-car platform and nearly 2 million units worldwide off its global C-car platform. "Ford is investing most where consumer growth is taking place - and that's in highly fuel-efficient global small cars," said Derrick Kuzak, Ford group vice president of Global Product Development. "One of every four vehicles in the world today is a 'C' or Ford Focus-sized vehicle, and we expect the segment to grow more than 20 percent to 6 million units in North America and 25 million worldwide by 2012. We see similar strong growth in the B-segment, where the Fiesta competes." With Ford's global product development plan, all of the company's vehicles competing in global segments will be common in North America, Europe and Asia within five years. In addition to B- and C-sized small cars, the company's Fusion- and Mondeo-sized C/D cars and utilities will be common globally. The same will be true for commercial vans. Ford said it is uniquely positioned to take advantage of its scale, already acclaimed global products and the strength of the Ford brand around the world to respond to the current changing marketplace and to begin to grow profitably. The company said its success in growing market share and profits with smaller, more fuel-efficient vehicles in Europe is now the template around the world. "We remain absolutely committed to creating an exciting, viable Ford going forward - and to transforming Ford into a lean global enterprise delivering profitable growth over the long term," Mulally said. "We continue to make progress on every element of our transformation plan, and we are taking decisive steps in the near term to ensure our long-term success." * New or increased credit, consumer or data protection or other regulations resulting in higher costs and/or additional financing restrictions. We cannot be certain that any expectation, forecast or assumption made by management in preparing forward-looking statements will prove accurate, or that any projection will be realized. It is to be expected that there may be differences between projected and actual results. Our forward-looking statements speak only as of the date of their initial issuance, and we do not undertake any obligation to update or revise publicly any forward-looking statement, whether as a result of new information, future events or otherwise. For additional discussion of these risks, see "Item 1A. Risk Factors" in our 2007 Form 10-K Report. Ford Motor Company, a global automotive industry leader based in Dearborn, Mich., manufactures or distributes automobiles across six continents. With about 229,000 employees and about 90 plants worldwide, the company's core and affiliated automotive brands include Ford, Lincoln, Mercury, Volvo and Mazda. The company provides financial services through Ford Motor Credit Company. For more information regarding Ford's products, please visit www.ford.com.